. : NCD Training Camp Report + Photos! :: Ski XCOttawa.ca :: Skiing in Ottawa and Gatineau Park :. NCD Training Camp Report + Photos! This past weekend the Kanata XC Ski Club played host to over 45 athletes and coaches paticipating in a weekend long training camp. The camp was based out of a YMCA camp facility in Kanata with rollerski and hill striding workouts in the Gatineau Park. 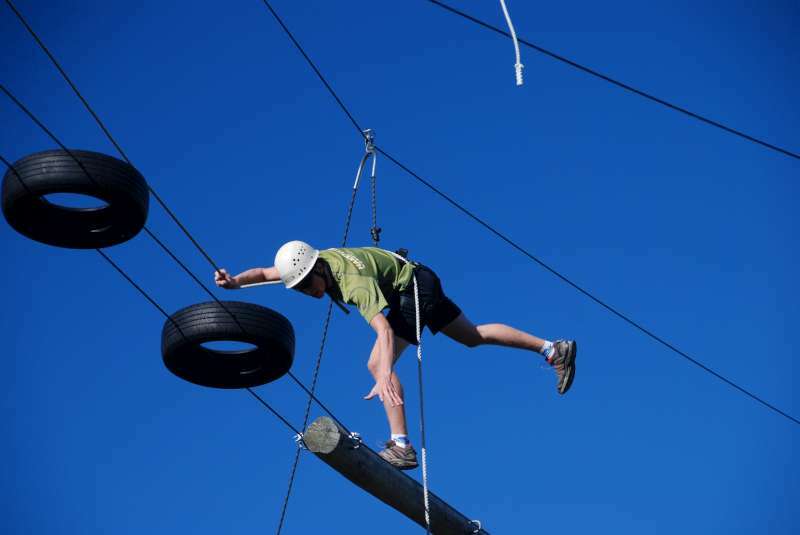 Skiers had the chance to work with a strong team of coaches on a variety of cool balance/technique drills on skis, intervals with video analysis, a tough plyometric strength circuit, a clue orienteering game and a high ropes course challenge, all on Saturday alone! On Sunday, the group spent more time perfecting ski technique before going head to head in short sprint competitions. After skiing, everyone headed out for either a ski striding interval session at Camp Fortune or a loop around Skyline ski walking/running. The camp finished with a solid ab-sculpting session led by Ontario team coach, Kateri Mills. It was exciting to see lots of young juniors/juvenilles out there having a blast while putting in some serious training. Ontario looks ready to have a rockin' good winter! Special thanks goes to the Kanata XC Ski Club for organizing this great weekend, Fresh Air Experience for donating tons of sweet prizes for the skiers and all the other coaches who came out to help our athletes get set for snow! 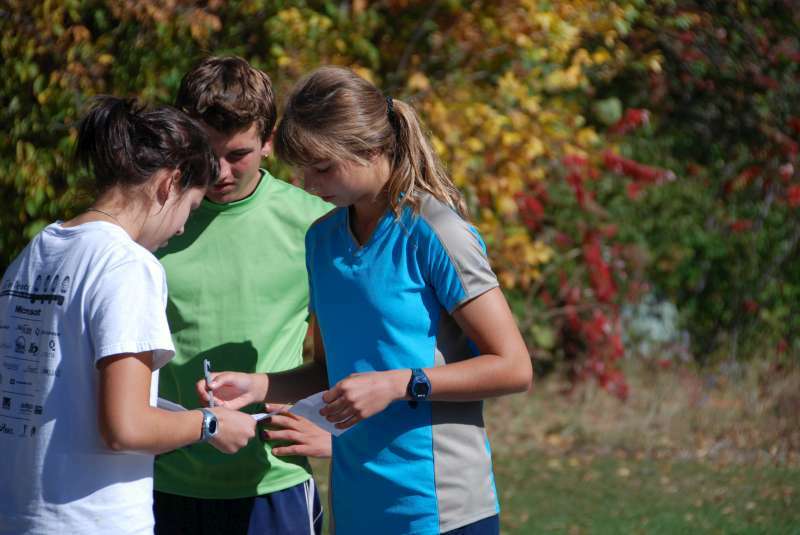 Note on Camps: Each year Cross Country Ontario organizes a series of training camps to provide junior athletes with oppurtunities to work with and learn from other coaches and teams. Ontario is divided into four "ski districts" (LSSD- Lake Superior Ski District, NOD- Northern Ontario, SOD-Southern Ontario, and NCD-National Capital) each of which is responsible for hosting a camp. This past weekend was NCD's turn to shine as it hosted the third camp in this year's series. 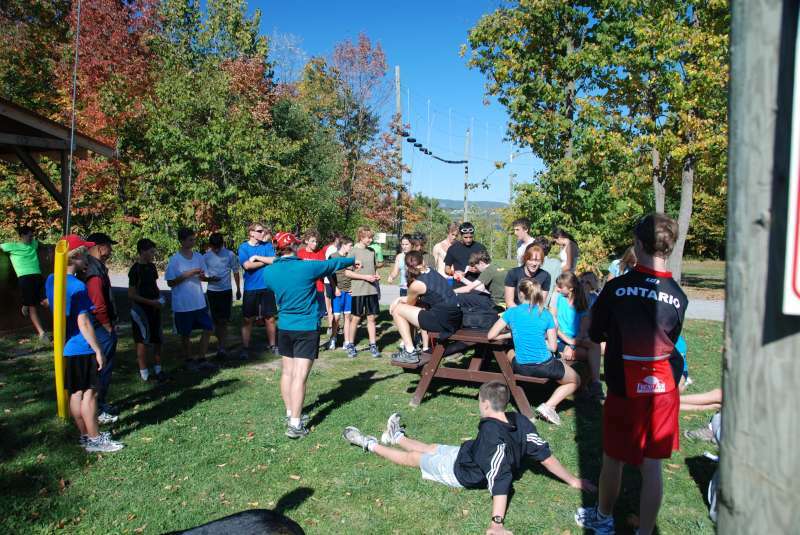 For more info on Cross-Country Ontario's programs, check out www.xco.org. 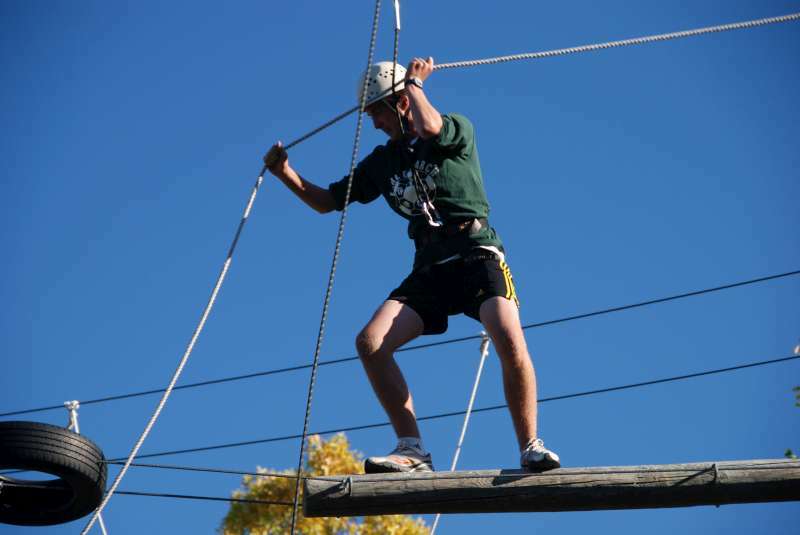 Nathan Kirby on the high ropes. Coach Kateri instructing the orienteerers. Hmm... everyone has there one ideas about the orienteering course. XC Local: Buy a 2007 Gatineau Park Ski Pass through Chelsea Nordiq. "OWL Rafting - The Mighty Ottawa River"